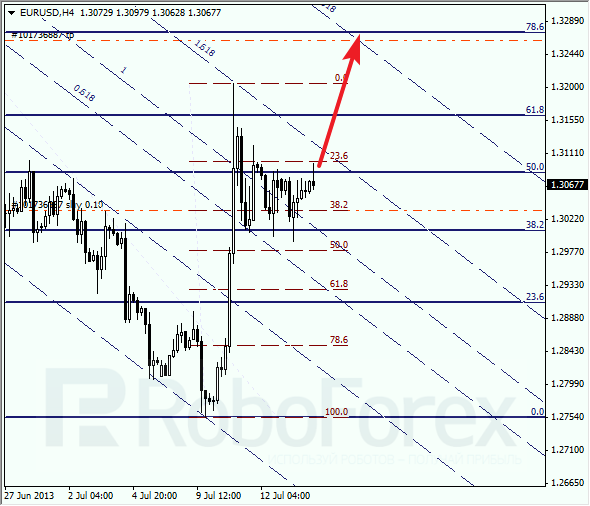 Euro is still being corrected, after making a rapid ascending movement last week. We can’t exclude a possibility that the price may continue moving upwards to reach the next target at the level of 78.6%. in addition to that, the bulls may face the resistance form the 2.618 line of the fibo-channel. At the H1 chart, the price is trying to leave its consolidation channel. 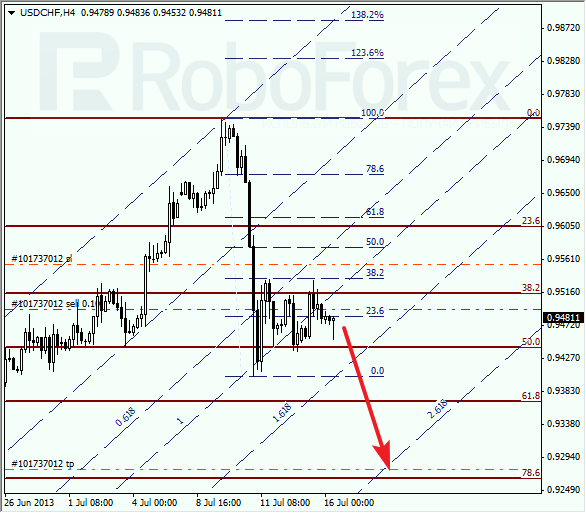 According to the analysis of the temporary fibo-zones, the price may reach the target levels on Wednesday. Later, the pair may start a new correction from the level of 78.6%. Franc is also being corrected. Yesterday the pair rebounded from the level of 38.2%. There is a possibility that the price may break a local minimum during the next several hours. The main target is still at the level of 78.6%. 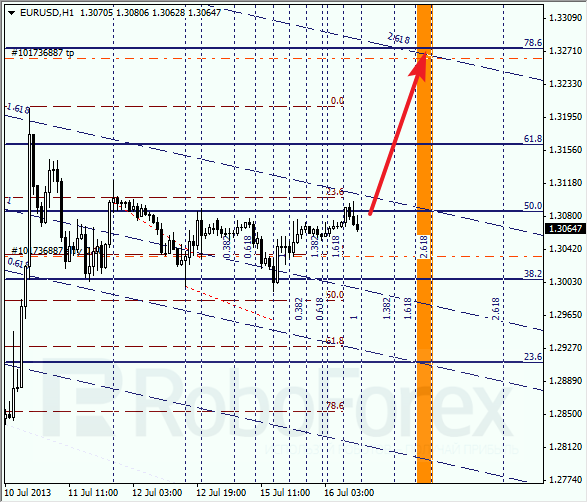 At the H1 chart, we can see that the pair is forming a long flat pattern. We can’t exclude a possibility that during Tuesday the price may leave this trading range. 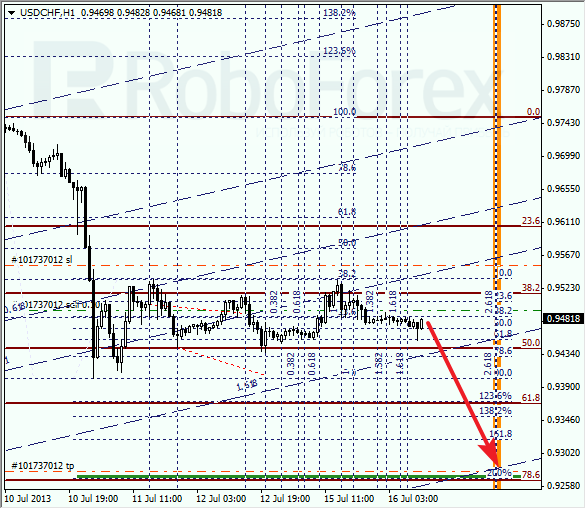 According to the analysis of the temporary fibo-zones, the targets may be reached tomorrow.